Freeze and Shatter. God value. Quite a usual pick in the ARENA, yet the use of this card is rather situational. Typically you play this card to stall one of your opponent's strongest minions, buying critical time in the late game. 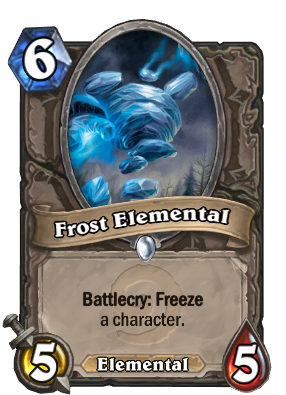 Still not good enough for constructed deck due to the high cost and the lack of Freeze synergy.